The NCYC has a long tradition of treating our Club facilities like the treasure they have become. When our forerunner’s acquired the Island back in 1968, the Clubhouse, formerly a resort hotel dating back to 1869, was nothing but a shell and the Island itself had largely eroded away. 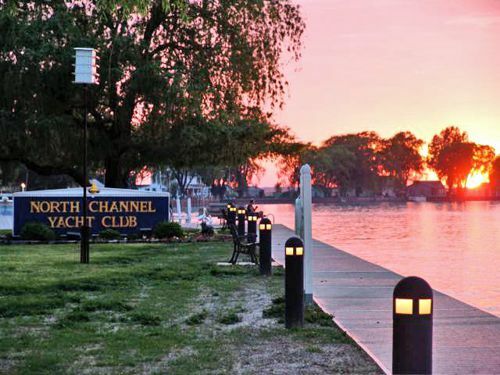 In the forty-plus years since, the membership has consistently invested in capital improvements to make our Club, grounds and docks a bit grander every year. We can do this because we are member-run and make many of the improvements ourselves. Our relatively modest operating costs leave us with the ability to direct many of our resources to long-term improvements rather than short-term operations. Our First Mates aggressively raise funds through an on-Island Boatique and several other activities, much of which they donate to annual capital- improvement projects for the Club. Today, our Clubhouse, a registered historical site, boasts city water, fresh paint, a modern commercial kitchen, renovated showers and bathrooms and a modern kid’s room with satellite television, video games and a video arcade. 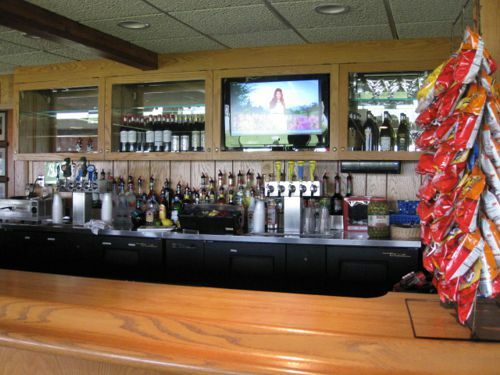 We have a beautiful full-service bar with a stone fireplace and big-screen TV as well as a dining room with a dance floor and portable stage. And, there are rooms available for our non-boating members and friends. Over the past year, our East Harbor sea wall has been rebuilt and our Boatique (store) was moved from a small room on the second floor of the Club to a free-standing building near our shuttle docks where the foot traffic is much better. Our 80-plus deep water slips have modern electrical hook-ups, fresh water access and sturdy, well-maintained docks. Most slips can handle boats from 15 to 50 feet, some up to a hundred feet. There are 10 transient slips for guests. A member-built wooden walkway now surrounds the Island perimeter overlooking well-maintained grounds with flower beds, picnic tables and gas grills. There is a children’s playground on the Island as well as an old-fashioned, swimming hole. 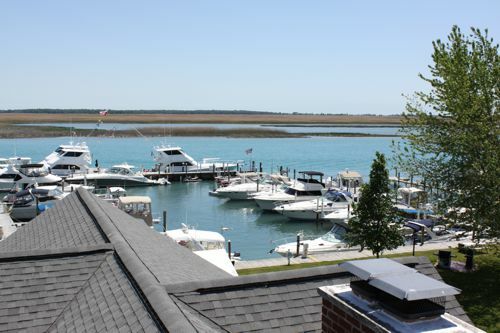 The Club boasts a mainland parking lot for members and guests who come by car and a continuous shuttle service to and from the Island via “Finrunner.” There are even slips available near the mainland shuttle docks that members can rent seasonally for their smaller boats. The Island is a fabulous jumping off spot for some serious exploring, especially by smaller watercraft. The area, commonly known as the “Venice of Michigan,” is renowned for it miles of canals, streams and tributaries. That doesn’t mean we are isolated though. The list below summarizes the availability of important boater amenities, both on the Island and nearby.